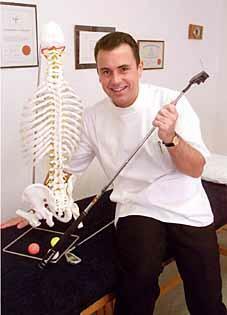 You can see an experienced UK Registered Practitioner using recognised techniques to help relieve your pain and return you to full fitness. We have been in practice locally since 1985 and are recognised by all the major insurance companies ( also on GP referral if necessary ) All our Practitioner are fully trained, considerate and very experienced. Michelle is fully qualified, registered with the Health Professions Council (HPC) and member of the Chartered Society of Physiotherapy (MCSP)and of the Acupuncture Association of Chartered Physiotherapists (MAACP). This means that we are governed by a professional code of conduct and all treatment is covered by professional liability insurance. Michelle graduated from Keele University with a first class honours degree in Physiotherapy. She has gained clinical experience in several areas of expertise within the National Health Service and has worked in private practice for the last 3 years. Michelle has experience and expertise in assessment and treatment of sports injuries, whiplash, work related injuries, cervical headaches, back and neck pain, groin pain and all orthopaedic problems. A combination of electrotherapy, sports massage, acupuncture, manual therapy, personalised exercise prescription and education and support will be utilised to provide a solution to your problems. 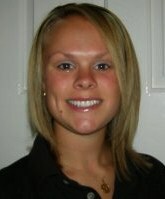 Michelle has a very keen interest in football, and is the Senior Physiotherapist of Nantwich Town Football Club. In her spare time she is a black belt in Taekwon-do, in which she has been dedicated to teaching and participating.